I’ve explicitly excluded the $5 a day backpack and the private jet/yacht versions, because I’m trying to write for the real world. I’ve done all my price checks today using standard websites such as Tripadvisor, Skyscanner, Hostelbookers and Railplus. 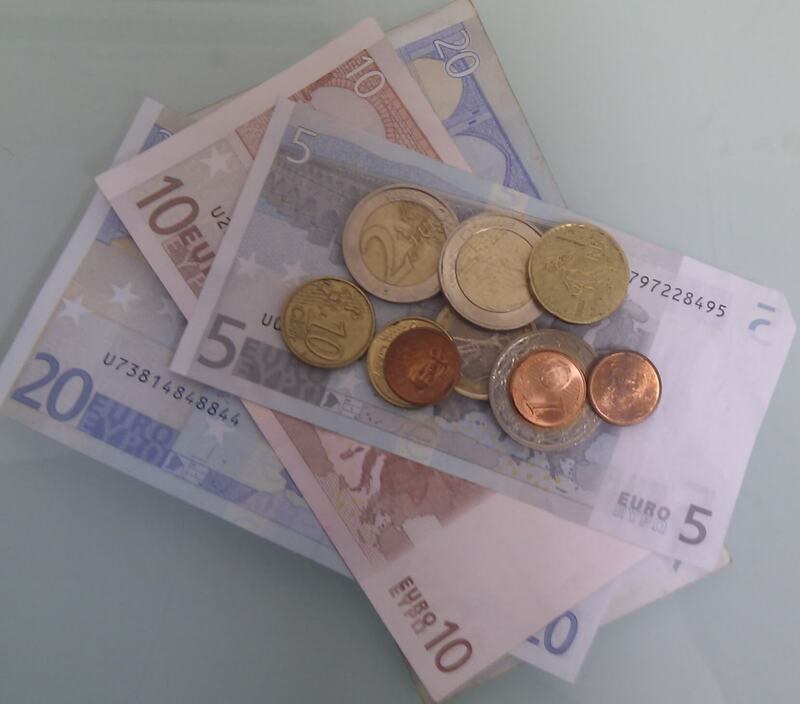 Where I’ve converted Australian dollars into Euros I’ve used the exchange rate I found on line today (0.80 Euro cents per Aussie dollar). I’ve included transfers, accommodation and traveling around. 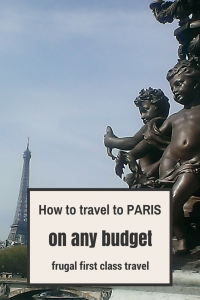 I have deliberately excluded flights to and from Europe, costs for sightseeing, and also decided to leave out food costs – they just seemed so variable according to individual taste. Rooms are double rooms with private facilities. I’ve chosen a Tune Hotel in Westminster for the 5nights accommodation. Tune Hotels work a bit like budget airlines – you get a bed and a shower room, but you pay for everything extra like TV, towels, wifi, even windows. 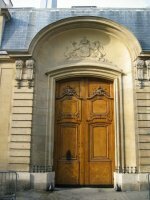 Cost for a double room with a window but nothing else GBP340. Getting round London an Oystercard offers the best value assuming you are doing plenty of getting around by public transport – this works out at about GBP8/day, so GBP40 for the 5 day stay. 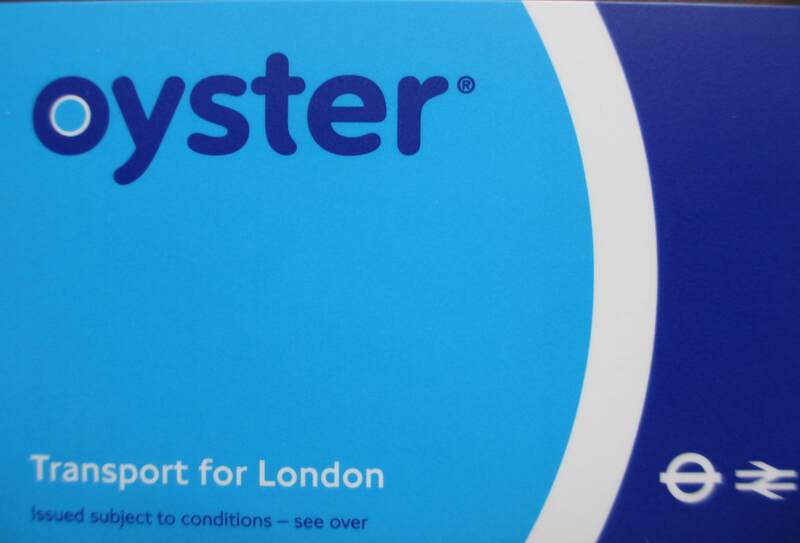 My favorite – the Oystercard. I found an advance airfare from London Stansted to Nice on EasyJet for EUR43. That was the cheapest fare I could find on Skyscanner today. Stansted is further out than Heathrow, so you need to allow a bit extra for the transfer, and I haven’t included any budget airline extras for checking luggage etc. Transfers in Nice from the airport by bus is EUR4, which also lets you use local public transport for the day. I found the Hotel Villa Expurery Gardens in Nice, which apparently is the number one ranked hostel in France – EUR60 for the 2 nights including wifi in a double room with private bathroom. I’ve priced this budget on the exact same basis as above, just to a different standard. I’m using the Heathrow Express to get into central London GBP19 and takes 15mins on a dedicated train directly to Paddington, so GBP38 return. My accommodation is an upmarket B&B I’ve booked through Uptown Reservations. It costs GBP625 for a double room with private or ensuite bathroom and a full continental breakfast. Getting round is still the Oystercard at a total of GBP40 for the 5 days. A cheap advance fare in Economy on British Airways is EUR45 and I’m using the same EUR4 bus ticket in Nice for transfers. A three star hotel halfway between the station and the sea is about EUR200 and includes breakfast and wifi. A first class advance rail ticket to the Cinque Terre costs about EUR92 and again includes compulsory reservations but no booking fees. My frugalfirstclasstravel transfer to Milan Malpensa comes in at about EUR43 for a first class rail ticket and the bus from Milano Centrale station. I don’t know if I’d actually travel like this even if I had the money – it just seems so “isolated” from real people and the real world….but for those who lust for it…. Getting around by taxi is the only way to go. The flagfall is GBP2.20, then it’s GBP1.60/km, plus waiting in traffic time. If you take 3 short trips a day for 5 days, I’m guessing it’s about GBP150 (at least). 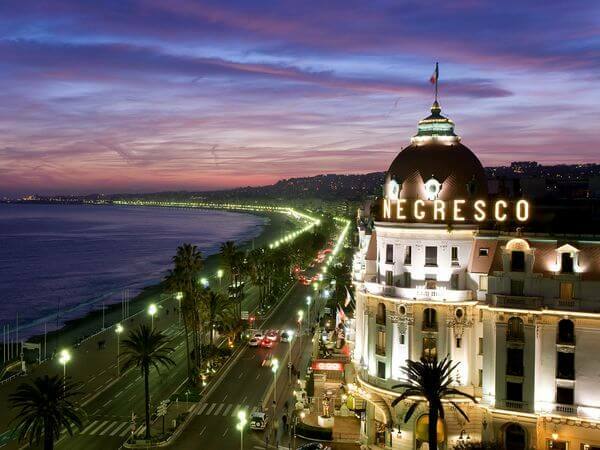 When it comes to a splurge in Nice, surely it has to be a sea view room at the iconic Hotel Negresco – a snip at EUR972, but that does include breakfast and wifi! The Cinque Terre isn’t really splurge territory but fortunately the very near by Portofino is – a stay at the gorgeous looking Hotel Splendido in a sea view room is EUR1900, with breakfast. And finally a private car transfer directly to Milan Malpensa (undoubtably for that the First Class flight home) comes in at a mere EUR501. In my not-resolutions post, I promised not to judge the way others choose to travel, so which budget is “better” is actually irrelevant. 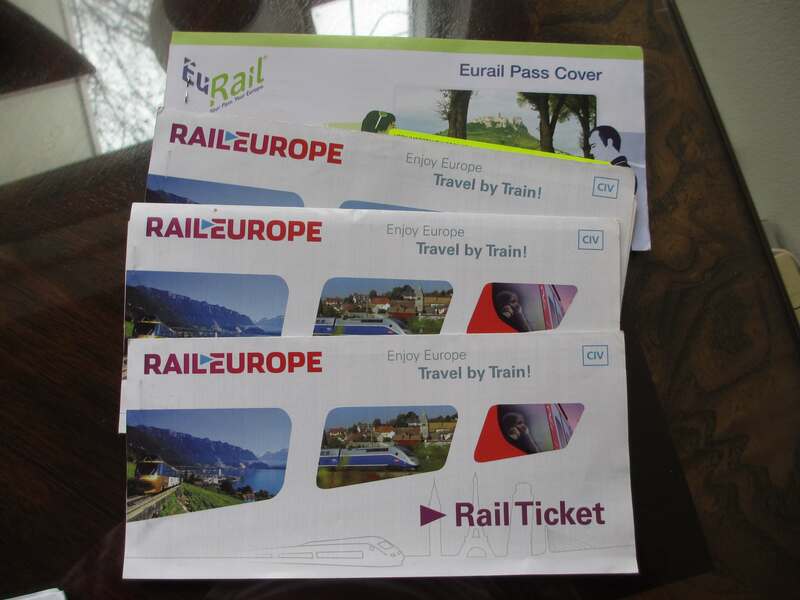 It’s about illustrating that the same itinerary can work just as well for different budgets. Which one you choose (and indeed whether you mix and match) really is a matter of personal choice, and your budget. If money was no object, which one would you choose? Jo, thanks for detailing the different trip costing options. I think an interesting equivalent test would have been to see how a travel agent would have costed the same itinerary – you don’t always have to go first class to have an expensive trip! I think I would go for a hybrid of the cheap and cheerful and your frugalfirstclass option. It is sometimes worth paying extra to get something a bit better – for example staying at a B&B is usually such a nicer experience than staying at a hostel! But I actually like catching public transport as it is like a window into how the locals live. 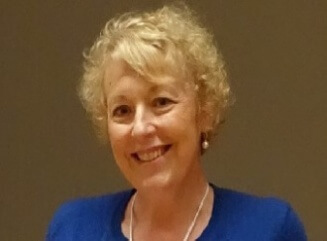 Hi Anne, I agree with you about the public transport – I would feel so isolated from my environment otherwise. The only time I don’t use public transport is to get a taxi to the airport from home, and if I’m lucky enough to be on an airfare and airline that offers transfers from the airport as part of the ticket – otherwise it’s bus or train for me! This was fantastic! I love Money Sense magazine, but when they do their travel articles showing the high/low way you can experience a destination, I am often frustrated because their “low” still feels pretty grand to me! Other times, the difference between high and low is often just 20%, and I feel they could have chosen more frugal and/or more upscale experiences to illustrate how people can splurge or really save. So this was just perfect! I think you could totally mix and match experiences depending on how much you valued certain things. Exactly. I think most of us do mix and match a bit. I must admit I would be curious to try the Tune Hotel in London – i did look at them this time, but they were all a bit far from the conference I am going to. I would have to ‘splurge’ and get a window, tv and a towel though! I would also love to try one of those really expensive, traditional grand hotels – just for a night to see what it was like. But at over a thousand dollars, it makes for a very expensive experiment! Brilliant post! Love it! I am FrugalFirstClass all the way I think – I’m in constant search of high standards for the best price but I very rarely bother with taxis and tend to go for public transport as much as possible. Sometimes I do want to splurge a bit more, but I am always held back by the thought that it’s not necessary and is basically just wasting money I could be putting towards the next trip! Thanks! It’s never wasted money if its something you really really want to do. 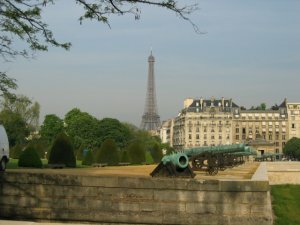 In Paris a few years ago I stayed at a hotel I had always wanted to – it was three times the price of where normally stay in Paris and it was great. But I’ve done it now and don’t feel the need to stay there again. Great article, interesting to see the comparisons involving a realistic kind of itinerary. I added up your amounts and I make the Splurge itinerary out as ten times more costly than the cheap option. I can’t believe that experience would really be ten times as good, however. Three times, maybe. I’d mostly follow the cheap version with the odd strategic upgrade. If I’m in Eastern Europe though, where everything is still much cheaper, all bets are off. Thanks for the kind feedback. I agree, that expensive itinerary couldn’t possibly be ten times better – although I did subsequently visit Portofino, and the Hotel Splendido did look pretty specky. It’s the same for me – I do reassess when I’m traveling somewhere cheaper.